Anchors can help transform their neighborhoods by buying goods and services locally. Think about how much a single, large hospital must spend every year laundering its sheets – or how much a university spends feeding its students. Baltimore has many such institutions, and they spend billions annually on goods and services. Yet, the vast majority of that spending flows out of the city, instead of staying here and benefiting local communities. Can some of that purchasing be redirected into the neighborhoods where these anchor institutions are based? Stephanie Geller doesn’t see why not. Much of what those hospitals and colleges buy doesn’t require advanced skills to provide, and that can mean job opportunities for struggling people. Geller, a Baltimore-born Homeland resident with a long history of working with and studying nonprofits, is trying to make it happen. She takes her inspiration from a successful program in Cleveland called the Evergreen Cooperatives. Cleveland shares many of Baltimore’s challenges: a high poverty rate, crime and drug problems, large areas suffering from disinvestment and decay. Also like Baltimore, Cleveland has a number of big, world-class institutions based in some of its toughest neighborhoods. The initiative in Cleveland spawned several local businesses that are working to provide goods and services to three of that city’s major institutions. The businesses – a sustainable laundry, a solar panel maker and a greenhouse – are worker-run cooperatives where many former criminals and other hard-to-employ residents have found jobs. Dozens of people with no previous work history now have steady jobs, health insurance, and co-op ownership stakes allowing them to do something rare in disadvantaged communities: actually build wealth. The recidivism rate among ex-offenders in the program is zero percent, Geller says. In her bid to replicate the concept in Baltimore, Geller is starting by focusing on the part of the city where she works. “We need to start in one neighborhood, but in my mind this makes sense for all neighborhoods” she says. Talking to West Baltimore anchors such as Bon Secours Baltimore Health System, the University of Maryland, Coppin State University, and the B&O Railroad Museum, Geller has compiled a list of about 40 ideas for forming local businesses to meet their needs. Sustainability awareness is on the rise in many institutions, so a lot of the possibilities have an eco-friendly theme – a green cleaning service, for example. A year ago, Stephanie Geller felt like a voice in the wilderness on the issue she was passionate about: forming worker-owned cooperatives to provide goods and services to local institutions. The idea made perfect sense to her, and she knew it had worked elsewhere. But in Baltimore, even the business students she met weren’t familiar with the concept. Turning it into reality was looking like an uphill climb. Then Geller, a researcher with the University of Maryland School of Social Work, was named a winner in last winter’s inaugural round of the Warnock Foundation’s Baltimore Social Innovation Journal awards. Since then, things have been moving fast. Geller achieved a breakthrough for her project when Bon Secours Community Works – a division of Bon Secours Baltimore Health System – agreed recently to become her first community-based partner. Geller spent much of last year canvassing the west side, talking to a wide variety of institutions and compiling 40 ideas for cooperative enterprises. As she winnowed that list, Geller relied on three criteria: an expectation of profitability in two to three years; the ability to create jobs for 50 West Baltimore residents, many with criminal records and limited skills; and the creation of something that the community wants. Working with teams of students from the social work school and the University of Maryland’s Robert H. Smith School of Business, Geller whittled her list to a small group of mostly environmental-themed business concepts, including the one favored by Bon Secours officials – a cooperatively run greenhouse. It fits with the hospital’s goal of promoting health and sustainability. “The greenhouse would create quality jobs and the potential for healthier food in the dining room and patient rooms,” Geller notes. Although the Bon Secours partnership is a turning point, Geller sees it as just the beginning for what she is calling The Collaborative. She will seek more community partners to form a network of worker-owned co-ops, while relying on UM to build up resources, such as technical expertise, for people who want to start such enterprises. 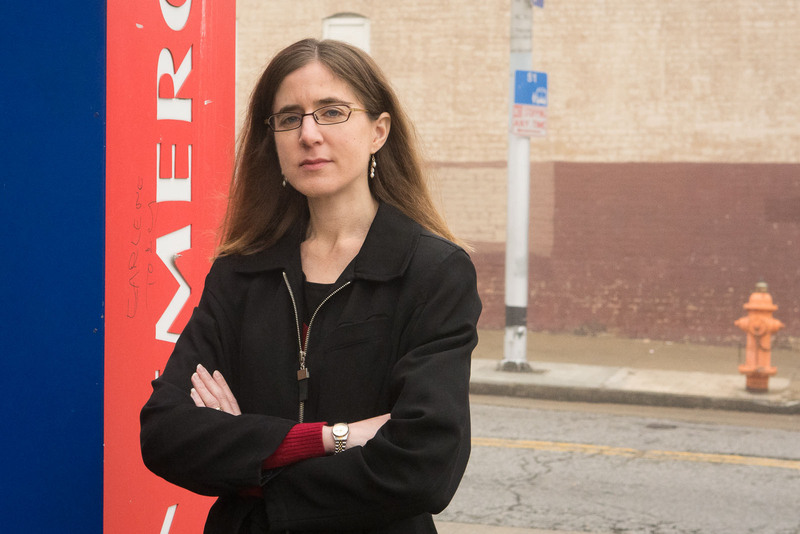 Geller says being in the Baltimore Social Innovation Journal has boosted not only her visibility but also her credibility as she seeks to grow support for something most people have never heard of. “It was no longer just Stephanie Geller talking about how great an idea it was,” she says.